Theo Osterkamp was born on 15 April 1892 at Düren in Rheinland. He fought in World War 1 as a naval pilot operating over the Western front. He commanded Marine-Feld-Jagdstaffel 2 from 15 October 1917. Osterkamp was to record 32 victories in that conflict. Leutnant Osterkamp was awarded the Pour le Mérite on 2 September 1918. Between the wars, Osterkamp was much involved in the formation of the new Luftwaffe setting up Jagdfliegerschule 1. On 19 September 1939, Osterkamp was appointed Kommodore of JG 51. He led the Geschwader during the French campaign and the Battle of Britain. He claimed four victories during the French campaign, including his first in World War 2 on 12 May 1940, when he shot down a Dutch Fokker G-1 twin-engine fighter near Soesterburg. He was to claim a further two victories over British fighters in July 1940, during the Battle of Britain. Generalmajor Osterkamp was awarded the Ritterkreuz on 22 August 1940. In mid-1942, Osterkamp was appointed Jagdfliegerführer 2 based on the Channel front. On 1 August, he transferred to the Luftsgaustab z.b.V. Afrika. 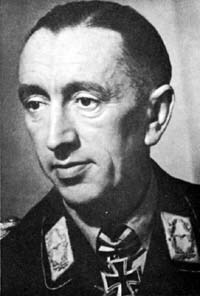 Generalleutnant Osterkamp was appointed Kommandeur of Jagdfliegerführer Sizilien, based at Trapani, on 5 April 1943. He relinquished command to Generalleutnant Adolf Galland (104 victories, RK-Br) on 15 June. Osterkamp then went on to hold numerous staff positions with training organisations before being appointed Inspekteur der Luftwaffen-Boden-organisation (Inspector Luftwaffe ground organisation). He was dismissed from this latter post because of his criticism of High Command on 31 December 1944. Osterkamp survived the war but died on 2 January 1975 at Baden-Baden. Theo Osterkamp was credited with 38 victories. He recorded 32 victories during World War 1. He recorded two confirmed and at least four unconfirmed victories in World War 2, all claimed over the Western front.